Roland Jackson finishing runner-up in the Employee of the Year category at the recent Huddersfield Examiner Business Awards was no disappointment for The Pink Link team – they felt only pride and delight for the man who has been an ever present throughout their history. Starting with the company in 1991 as a nightshift operator, his interpersonal skills, organisational strengths and uncompromising desire to deliver a quality service/ product have been the foundation for his continual growth through the business to his current position of Depot Manager. 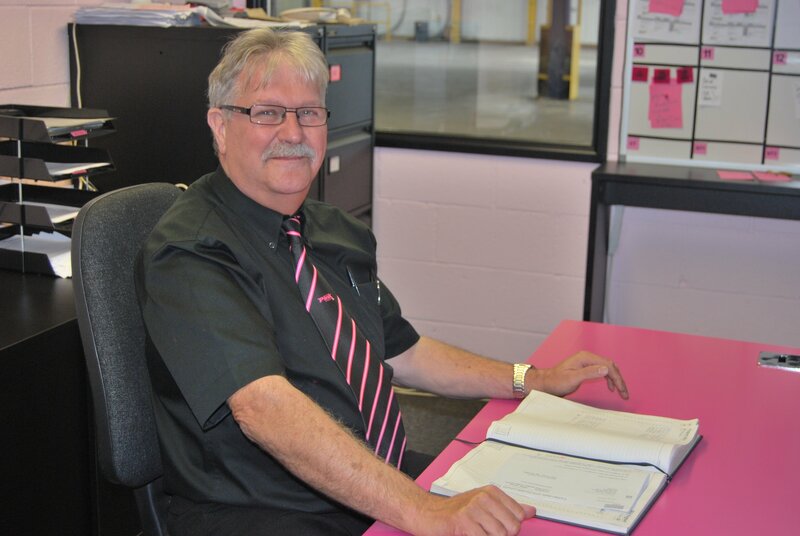 Roland is not only revered within The Pink Link business, but moreover the whole of the Palletways network. Comprising over 110 member companies, Roland is recognised as being “the best of the best” – never asking any other depot to undertake something that The Pink Link would not do themselves. Roland’s word is acknowledged as the strongest bond in the whole organisation as he lives by the mantra “if The Pink Link can’t do it, no one can”. In the last year, the business has seen a step change in its quest for growth. As such, the organisation has needed to respond by improving its operational and business efficiencies. Roland has been the hub of all this activity; utilising his vast business understanding, coupling this with his natural ability to motivate and lead people. The team take solace from his unwavering calmness under pressure, his detailed knowledge of every role within the business and his clarity and consistency as a manager and peer. Roland is the ultimate selfless company man – a colossus who puts everyone’s wellbeing ahead of his own. He is caring, considerate, helpful and despite his heavy workload, always has time for team members who need coaching, counselling or even just an empathetic ear. He perfectly dovetails the role of father (sometimes grandfather) figure to everyone in the business, whilst also commanding their utmost respect as their line manager. He sees everyone as individual and treats them thus and this approach means Roland has the ability to get the maximum out of everyone he comes into contact with. Roland’s positive attitude to everything is infectious and means the company’s culture is fun, focussed and determined to deliver a quality result for the customer which provides for a vibrant working environment. Roland is the epitome of the company man, treating every customer pallet and every company penny as if his own. Paul Ince, Joint Managing Director commented; “if you cut Roland in half he would be like a stick of rock… it would say “The Pink Link” all the way through his core”.